On equalism.org.uk, we tie equalism closely in with ideas of liberty and free speech (e.g. JS Mills). There’s a major resource that greatly boosts our understanding of equalism and how we achieve it. Our puny effort here to open up a debate on equalism has been gloriously trumped by Timothy Garton-Ash (TGA) in his book Free Speech: Ten Principles for a Connected World (2016) and its sister international website Free Speech Debate (launched 2011). This is to welcome, recommend and celebrate this essential new global guide. The ten principles will also build a more equalist world. 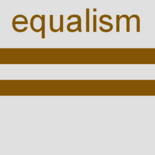 Our definition of equalism – over there on the right of all our blogs here – puts together principles of equality alongside respect for difference. This means a never-ending process that we need to keep working on together. We have to work it out at every level from face to face through community and culture and up to national and international government and laws. That blend of idealism and pragmatism is best summarised in the French revolutionary phrase: liberty, equality, fraternity. That means that our greatest personal liberty results from the equality that is achieved through people working together with respect for our many differences. Now this cause of equalism can hitch an express ride forward on TGA’s launch of a decade of thorough research, thinking and global discussion. In English, we use the more limited term ‘speech’. It denotes just the words we use when we talk and write. Many other languages use a term that means something more like ‘expression’. Anyway ‘free expression’ seems to me a much better way to say ‘free speech’. That includes the equally meaningful non-verbal parts of action and interaction. The ten principles are set out in the image and list below. You can learn more about the Free Speech Debate in briefer or longer ways. 1. There are some short talks on BBC Radio, available on iPlayer but maybe only in the UK. 2. Get TGA’s book. You can get it in the normal (‘Gutenberg’ i.e. paper-printed) format. But in the internet age, TGA has intended it to be a ‘post-Gutenberg’ book. That means that if you get the electronic version (e.g. for your Kindle) there are hundreds of hot-links to key resources and references on the web. To get to these from the printed book would be much more onerous. I say this book is the most important book for us all in 3500 years. Why? Because it is a reliable guideline for our modern world, that I think updates the Bible’s ten commandments … which arguably date from about 1450 BCE. 3. Visit the website, freespeechdebate.com (launched and developing since 2011). Then spend the rest of your life exploring a growing mountain of intelligent writing on all these major issues by scores of international authors. You can read it in over a dozen languages too. Free speech is one of the hottest issues of our time. We live in a world where we are all becoming neighbours. Many of our cities are now inhabited by people from everywhere, and if you don’t meet them in person, you will find them online, where in principle everyone can see what everyone else is saying. What should we be free to express, about ourselves, other people and their religions? Should newspapers be allowed to publish cartoons of the Prophet Muhammad? Does the struggle against terrorism justify the government reading your emails? Between Facebook and the NSA, do we have any privacy left? How we shape and defend free speech will decide the future of free societies – and of those that are currently not free, if they win more of it. That’s why I have spent the last ten years writing a book about free speech, creating an Oxford University a website for people to debate the subject in 13 languages – and now presenting some of my findings in a series on BBC Radio 4. Free expression is the lifeblood of equalism. Only when – at every social level – we think and talk freely and with respect for each other and our differences, will we keep discovering the equalism we strive for. Striving for equalism may not be obviously universal, but equalism is implied in every experience of unfairness that everyone across the world rails against many times a day. This entry was posted on 21 September 2016 by Nick Child in Equalism in general, News and tagged Equalism, Free Speech, Social GRACES.